“My precious” refers to Gollum’s obsession over and attraction to the Ring in The Lord of the Rings. 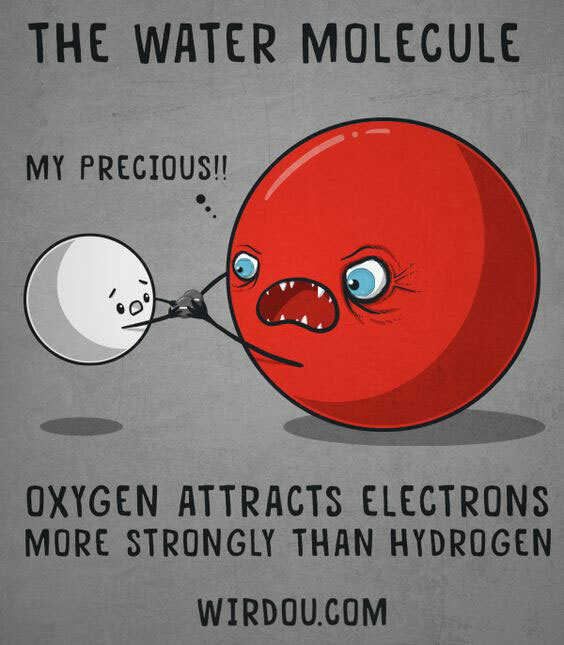 In this case, oxygen is acting in a similar way toward an electron, attracting it in an aggressive manner due to its higher level of electronegativity, more so than hydrogen. 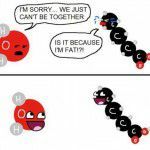 What Did The Cow Say To Molybdenum and Oxygen? 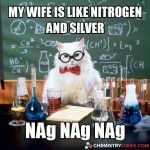 What Do You Get When You Mix Sulfur, Tungsten, And Silver? Why Did The Chemist Coat His Shoes With Silicone Rubber? 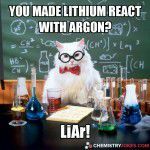 You Made Lithium React With Argon?